This entry was posted in Gardening and tagged clematis, cosmos, flowers, pumpkins, sunflowers, Vegetables on June 5, 2015 by Julie Riebe. 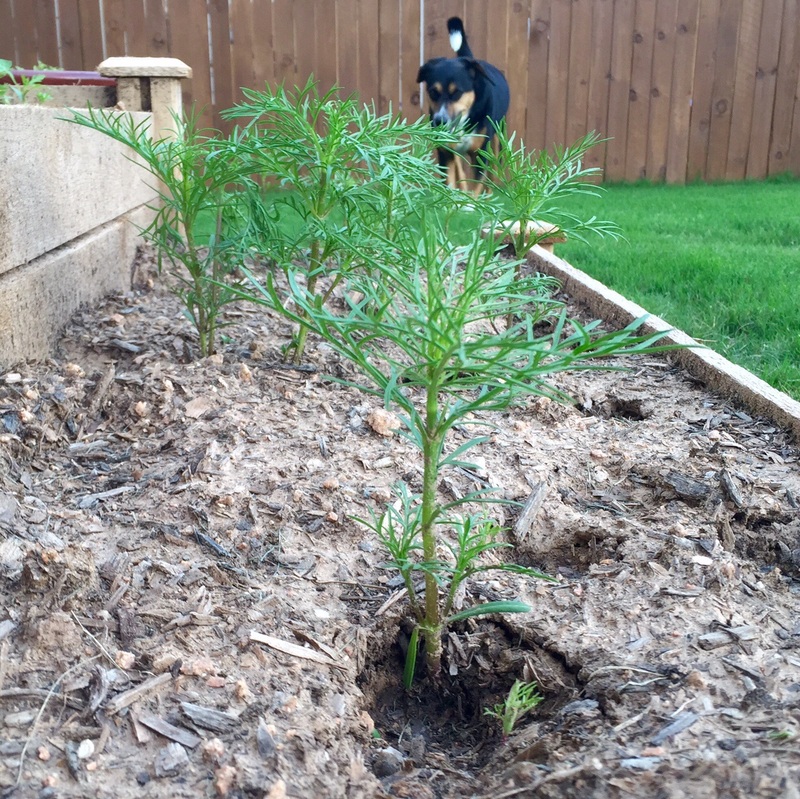 This entry was posted in Gardening and tagged Vegetables on May 13, 2015 by Julie Riebe. 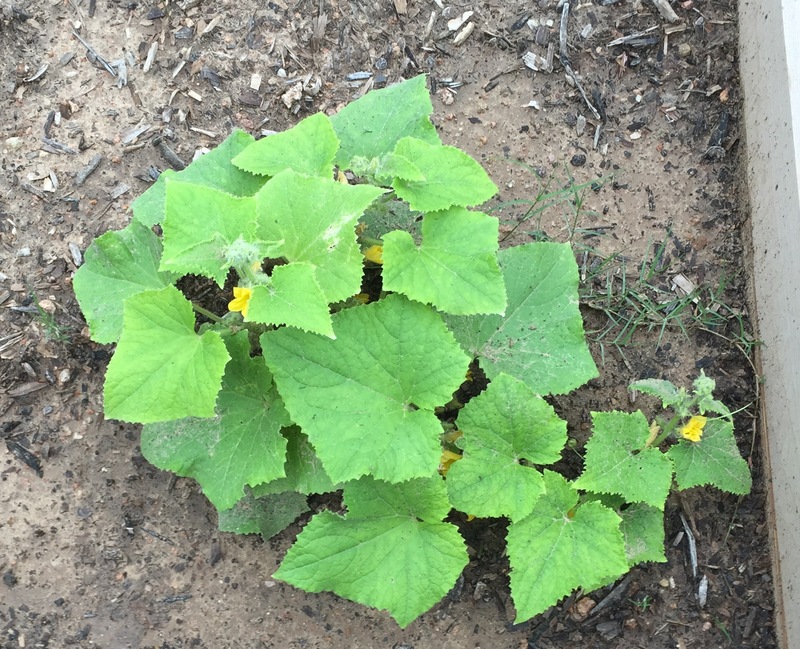 This entry was posted in Gardening and tagged flowers, Vegetables on May 11, 2015 by Julie Riebe. Tomato bed dotted with marigolds. 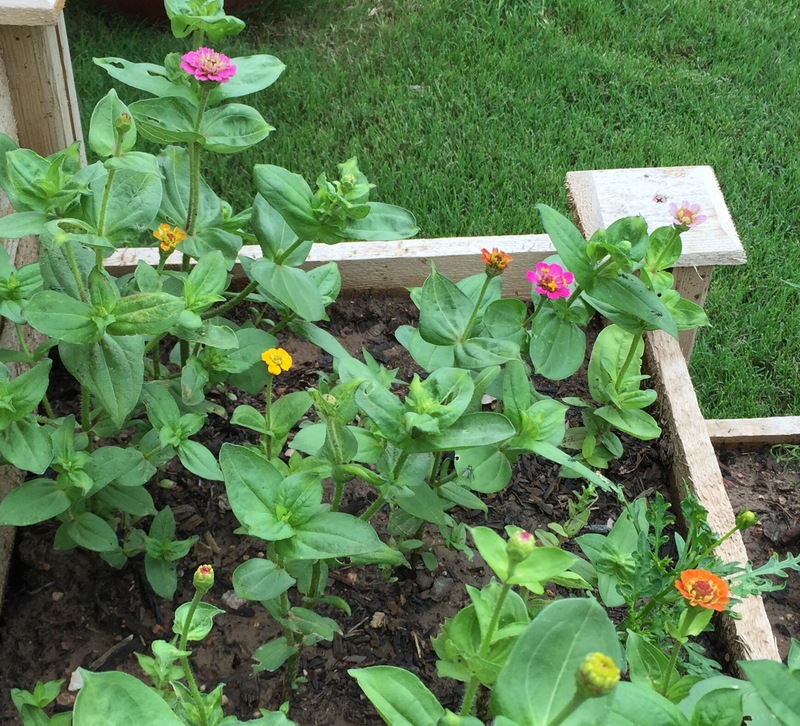 This entry was posted in Gardening and tagged flower, Marigolds, Vegetables on April 22, 2015 by Julie Riebe. 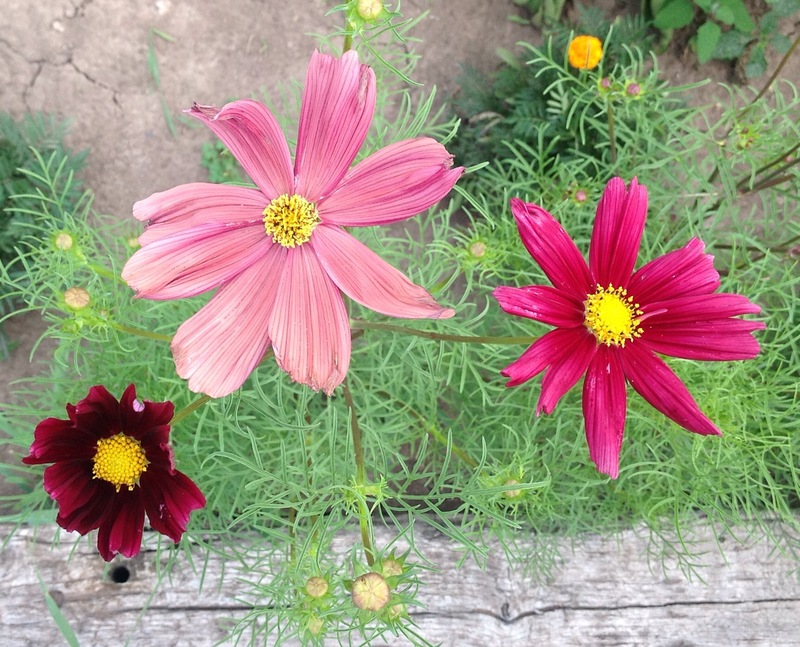 The cosmos flowers are getting bigger every day. Now if I can just keep darn dog Chloe out of them. 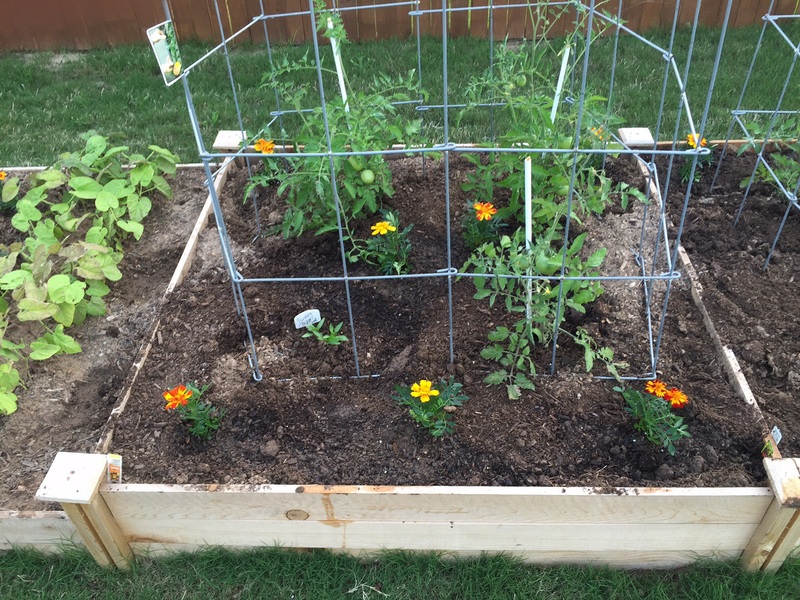 This entry was posted in Gardening and tagged flowers, Vegetables on April 21, 2015 by Julie Riebe. The raised garden bed looking north. The four sections of the raised garden bed on April 13. I could look at them all day. Of course, if I could do that (i.e. not go to work), maybe I wouldn’t enjoy the flowers and vegetables as much, right? As it is, enjoying the views, watering, weeding, giving the garden whatever it needs, is the best time of day for me. I’ve said it before and I’ll say it again. Life is good! This entry was posted in Gardening and tagged flowers, Vegetables on April 13, 2015 by Julie Riebe.